Recently, one of my photo buddies used Facebook to discuss cropping – specifically, cropping the crap out of your life. Part of the subsequent discussion with my friend was about why we friend people on FB and whether those friends add value to not only the FB experience but to one’s photography. This discussion gave me a lot to think about, especially in light of the way social media is used these days. Holy cow! Even more to think about! Why am I on FB and what is my purpose in sharing images there? More to follow on that one, but I’ve decided that when I ‘like’ an image on social media, I will always leave a comment. Hopefully, the comment will be encouraging and helpful to the photographer. This may result in fewer ‘likes’ from me, and also in fewer ‘likes’ for me. I’m prepared to accept that. 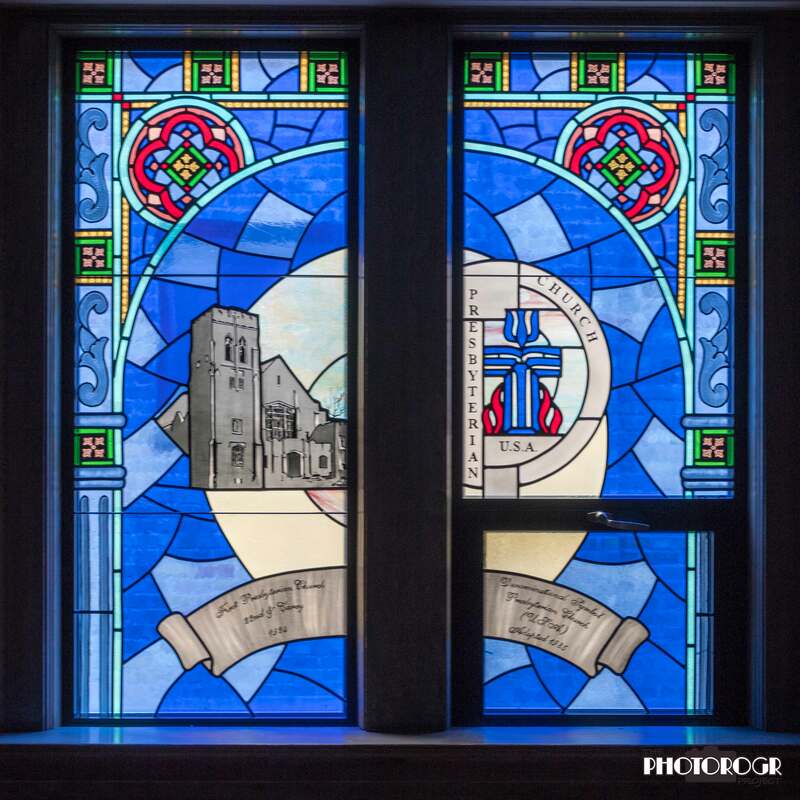 The main Chancel Window, dedicated April 7, 1946. 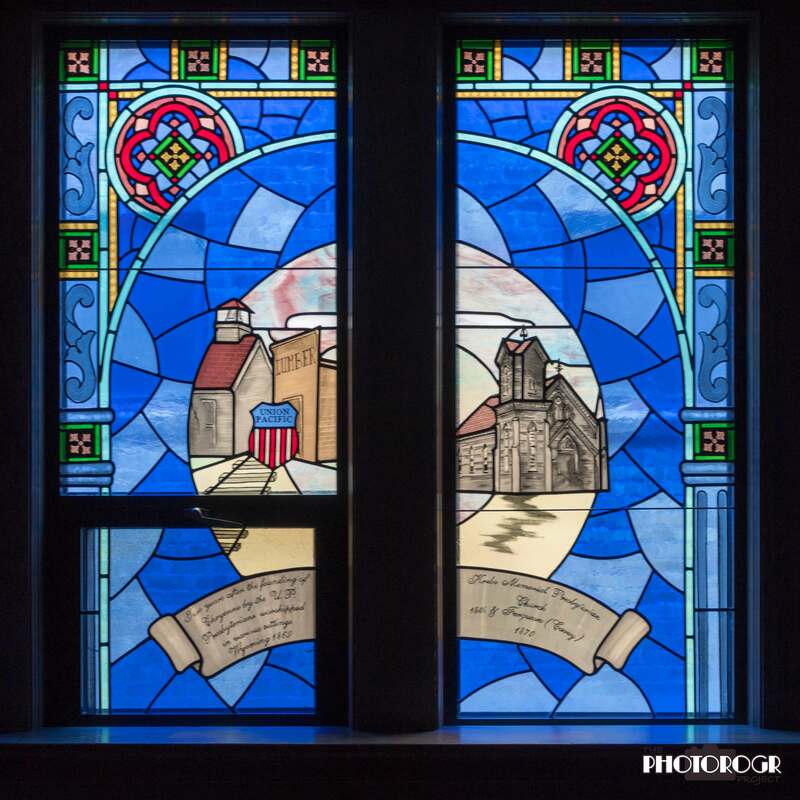 This window is on the south wall which means it’s lit up whenever the sun is shining. 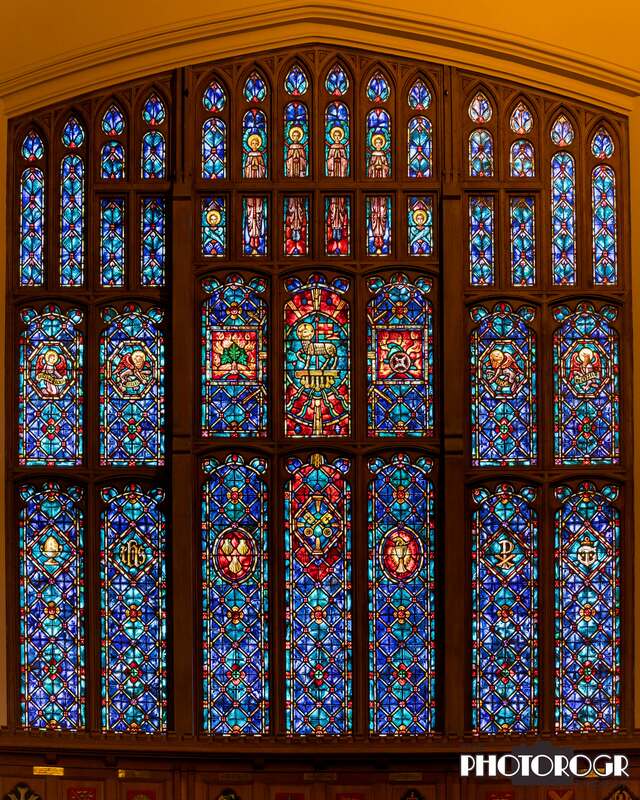 The Choir sits underneath this magnificent creation (I sat in the top row, on the left looking at the window. And no, I was never a good singer.). 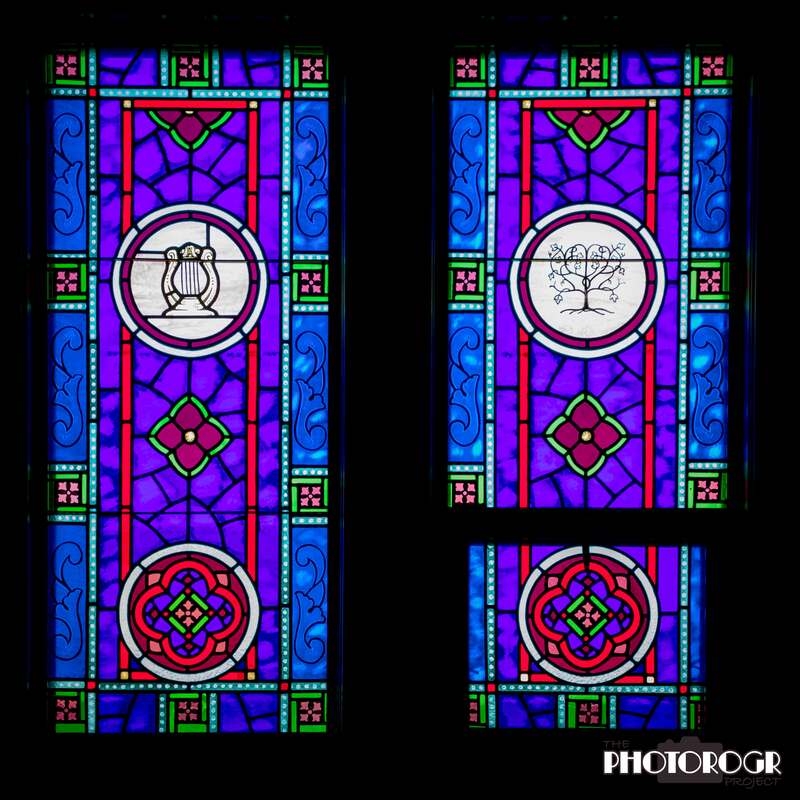 In a future blog, I’ll provide closer images of the window with an explanation of what it represents. 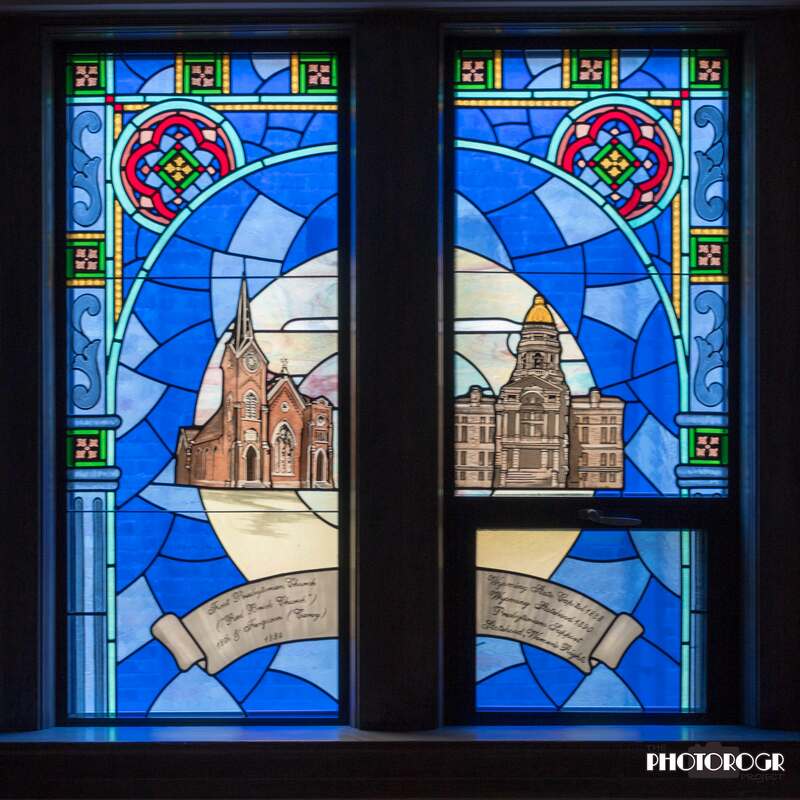 Continuing my exploration of the stained glass windows in the First Presbyterian Church in Cheyenne WY, today’s featured windows are in the balcony of the Sanctuary. 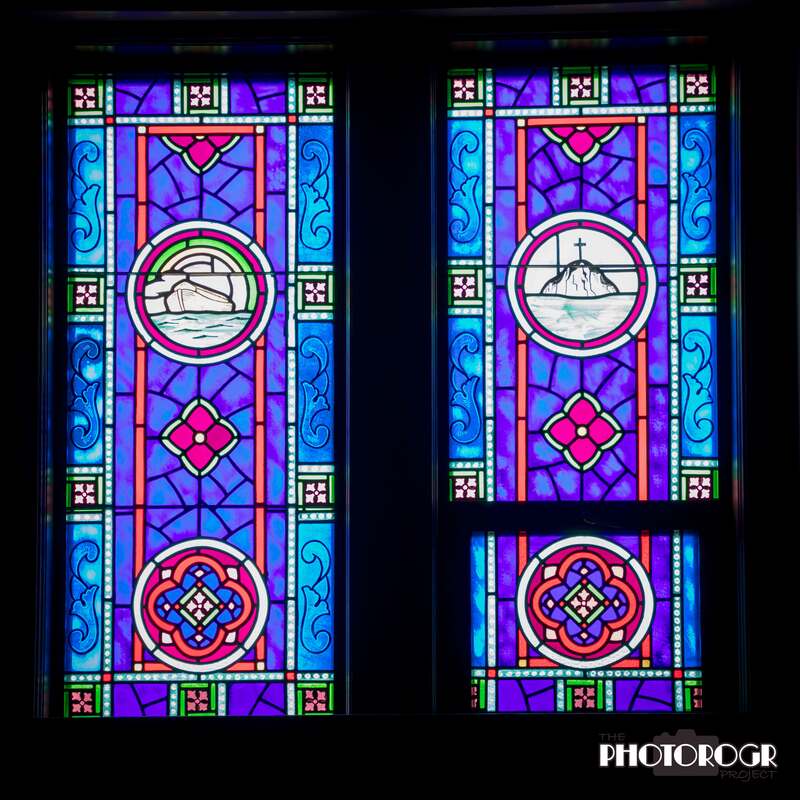 These windows were dedicated in May 23, 2004, Heritage Sunday. There are 4 windows and each has 2 panels. 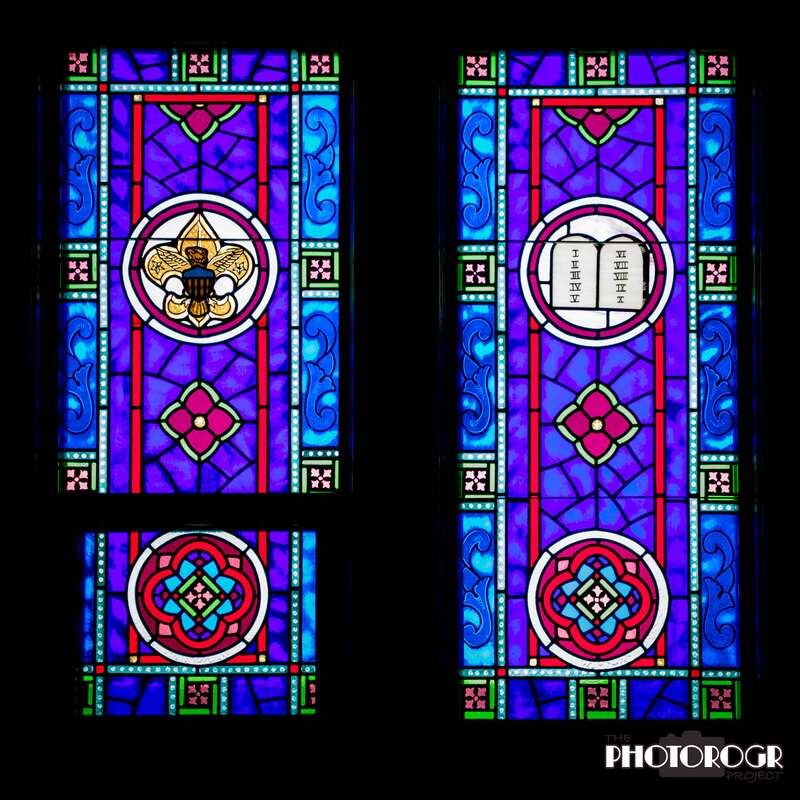 Each panel has the same design and colors, except for the circle near the top of the window holding a specific symbol. 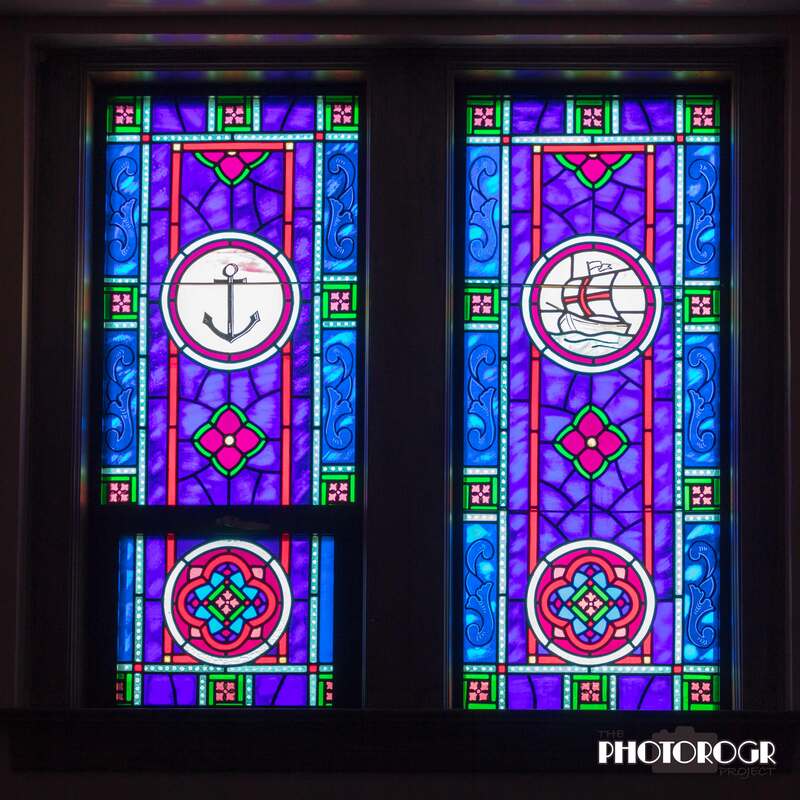 This window features an Anchor, a form of the cross symbolic of Christ, hope and steadfastness on the left, and a Ship, symbolic of the Church of Christ on the right. The Nave is the central part of a church building, intended to accommodate most of the congregation. In traditional Western churches, it is rectangular and is separated from the Chancel by a step or rail. The word Nave comes from the Latin word for ship. On the left is a Harp, symbolic of music in honor of God. A Vine occupies the right panel, symbolizing the relationship between God and His People. This is my favorite window. The left panel shows the Insignia of the Boy Scouts of America. The First Presbyterian Church just celebrated 75 years of continuous sponsorship of Troop 116, the longest such relationship in the area. 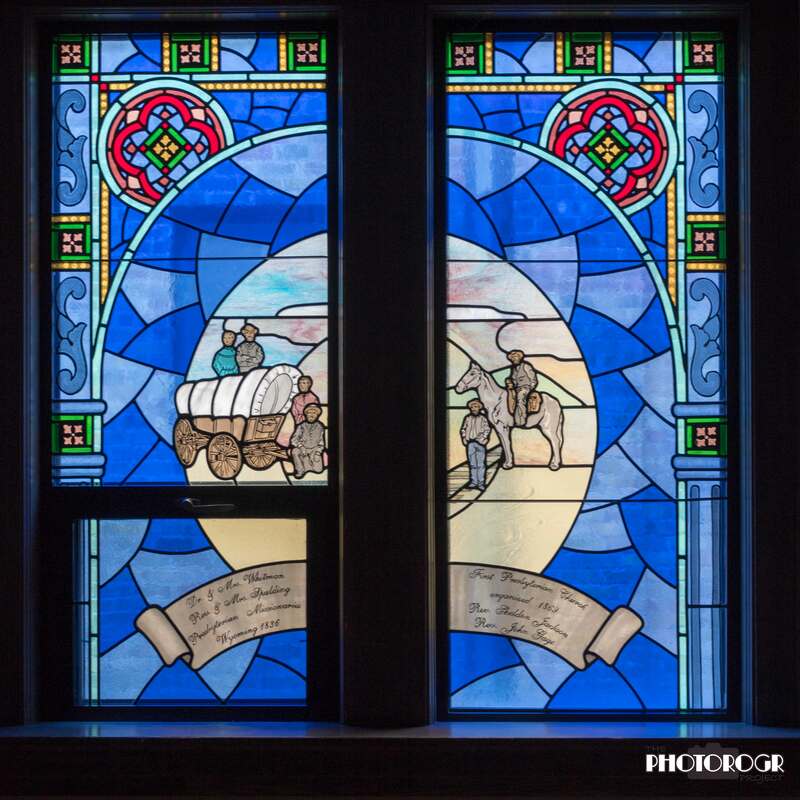 This panel is dedicated to all the Scouts who have gone before and those who will follow. On the right are the Stone Tablets representing the Ten Commandments. On the left is the Ark, symbolic of the Church, since in the Ark all living creatures found refuge. The Cross of the Rock, right, is a symbol of the Lord.